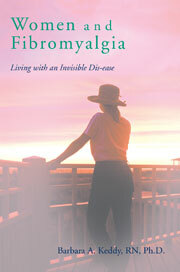 I have little doubt, but no absolute proof, that anxiety is the root cause of fibromyalgia. I know many anxious persons who do not have fibromyalgia, but I do not know any person with fibromyalgia who does not suffer the plague of anxiety. It could be the chicken/egg dilemma but I suspect fibromyalgia is the result of long term anxiety which shows itself in the form of body pain, among other physical manifestations. The book featured here by Daniel Smith, while somewhat a bit too sexually graphic at first reading, is one in which anxiety in the extreme is presented honestly and sometimes overwhelmingly. It is a sad, yet funny documentary about the many ways in which this condition can affect our bodies very dramatically. This entry was posted in anxiety and fibromyalgia, Daniel Smith, depression and fibromyalgia, Fibromyalgia, hyper-vigilance, Jon Kabat-Zinn, MBCT, mindfulness, racing heart, sick leave, slep disturbances, somatic anxiety, startle response, stress and fibromyalgia on January 6, 2014 by Barbara Keddy.